At first glance, casual onlookers would assume the Swiss duo Majesty of Silence to one among hordes of redundant cookie-cutter black metal outfits. However their latest album, ‘Zur Dunkel Für Das Licht’, out this past spring on Rockshots Records, is an excellent fusion of traditional black metal, as well as incorporating aspects of spoken word and symphonic, often operatic elements. The production on the album is extraordinarily crafted. Gone are the days of an almost regimented criteria dictating that all successful and “true” black metal bands’ music had to sound as if it was recorded through a tin can in a toilet. The album works as a way to prove that there can and should be a robust array of sonics in Black Metal. When the drums aren’t busy machine-gunning out unmerciful, rocketing blast beats, they rumble steady and straight like a freight train. Tone plays a key role in the production. Bass drums sound tight, yet still pack a punch. The snare, however is a bit inaudible and when the chaos subsides to where the listener can hear, is flat and inconspicuous. Nonetheless, the sheer brutality and technical craftsmanship compensates this minor flaw. Majesty of Silence’s guitar parts are as electrifying as they are enveloping. Diversity in the instrumentation is often, and excellent. Whether it be crushing, adrenaline flooding heaviness or paralyzing scales and echoing harmonics, the band – Peter Mahler on guitars and vocals, and Christian Geissmann on guitars, bass, and vocals – proves that they are no novices. Vocals are the linchpin of the entire album. The range of sound selection is painstakingly and masterfully arranged. Keeping true to their scene and roots, Majesty Of Silence uses much album time shrieking with incomparable ferocity. The listener can’t help but feel the sincerity from the vocals on this album. Other times during ambiance or even silence, the voice barks out spoken word like a wounded dog. As originality and diversity continue to be somewhat of a rarity in the metal scene as a whole, and especially black metal, it can be difficult to differentiate one black-leather-jacket-mommy’s-makeup-caked-on-top-of-lice-infested-goatee band from the next. Variety of sounds and pure brutality makes for an incredible album. 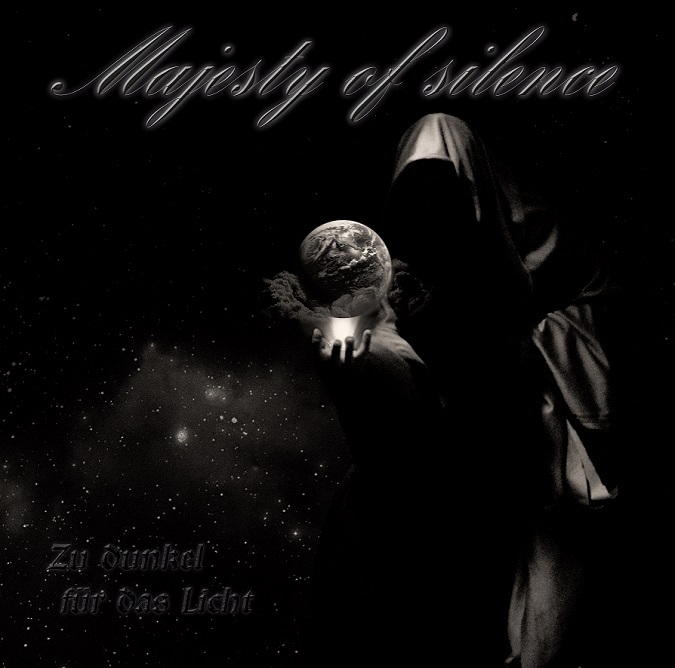 Bands like Majesty Of Silence are perfect examples of how black metal music should be. My biggest complaint of the album, if any, is that it couldn’t be longer. Order ‘Zur Dunkel Für Das Licht’ now from Rockshots Records [HERE].